Hello and happy new month everyone! I always loved September! There is something about the new beginnings feeling that comes with the month, the motivation to re-start things, the firsts chills that make their appeareance. The blog got a little makeover recently and I decided to try something different. Lately I really neglected this little space and I really miss it. So I'm here to share my September plans and thoughts with you! -The temperature dropping and the first autumn chills. I'm currently working on a very exciting secret project. I promise, you'll love this one! Other than that, I don't have anything planned for this month. Being the first month back to work and everything I thought, I'll just go with the flow and if inspiration hits, I'm here, willing to obey. I'm currently working on my Xanthe shawl from Ambah O'Brien, as well as my Find your Fade shawl from Andrea Mowry. I'm finishing Irvin Yalom's "When Nitze Swept". Such an amazing, well written book. I think I will be starting "Wild:from Lost to Found on the Pacific Crest Trail" by Cheryl Strayed next. I've been thinking a lot about personal style lately. I'm not such a big fun of my wardrobe at the moment, so I'm trying to figure out what needs to change, in what clothes I feel most comfortable in and what is my personal style leaning towards at the moment. Maybe a blog post will follow. Will you be participating in #sewphotohop this year? I'm excited to connect with all the amazing makers out there again! It's an amazing opportunity to discover more amazing people! I hope you liked this little segment. 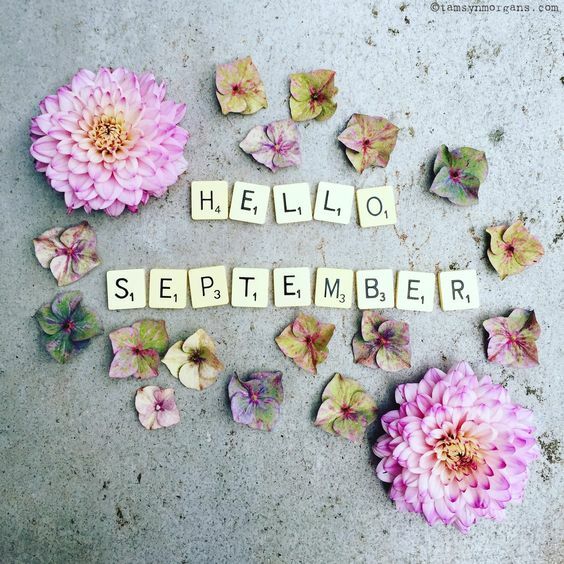 And I would love to know what are you most excited about the new month? What are your sewing/knitting plans for the coming season?